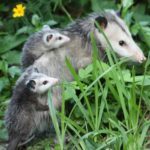 Last Wednesday will be remembered among the most important days for America’s natural resources— the day in which Clean Water Act protections were restored for more than two million miles of streams, millions of acres of wetlands, and one-third of all Americans who receive their drinking water from these sources. Following a morning of wetland restoration and turtle habitat creation, the National Wildlife Federation and our Affiliate for the District of Columbia, The Earth Conservation Corps (ECC) had the honor of hosting a truly historic event for America’s waterways. U.S. Environmental Protection Agency Administrator Gina McCarthy, Assistant Secretary of the Army for Civil Works Jo-Ellen Darcy, and Managing Director of the Council on Environmental Quality Christy Goldfuss visited ECC’s famed pump house facility along the banks of Anacostia River for the unveiling and signing of the final Clean Water Rule. Countless wildlife, including mallards, depend on clean water in streams, creeks and wetlands. Photo by National Wildlife Photo Contest entrant Cheryl Newman. Today’s announcement is a huge win for wildlife and fisheries, for healthy drinking water and public health, for businesses that depend upon clean water, and for all Americans who love the great outdoors. However, our work is not done. There are still some in Congress that want to prevent the Rule from being implemented. Now that the Clean Water Rule is finalized, we are going to need everyone’s help defending it! Please take action and tell your representatives to protect clean water! I am so proud to stand with all of you to conserve (and restore!) America’s amazing natural resources and wildlife. P.s. 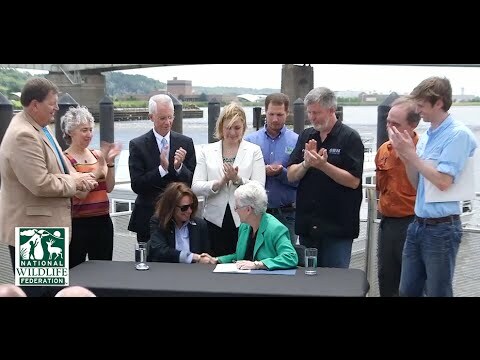 Check out this video of the historic clean water event!